After Orion Lander, I felt it was time to move into OpenGL's 3D capabilities fully. I think ground textures are the lamest thing in modern games. We have all this fantastic hardware, and yet we can't render some decent blades of grass? I wanted to prove to myself that a field of grass could be created, and rendered in real time. I'm pretty happy with the result; it even sways in the wind! Sure it's not exactly photo realistic... But if I can get this far as one man in a few days of hacking around in my first 3D app, I don't see why experienced 3D programmers can't nail this effect. Package grass blades into clumps to form more realistic vegetation. Leafy textures, although grass doesn't have much of a texture. 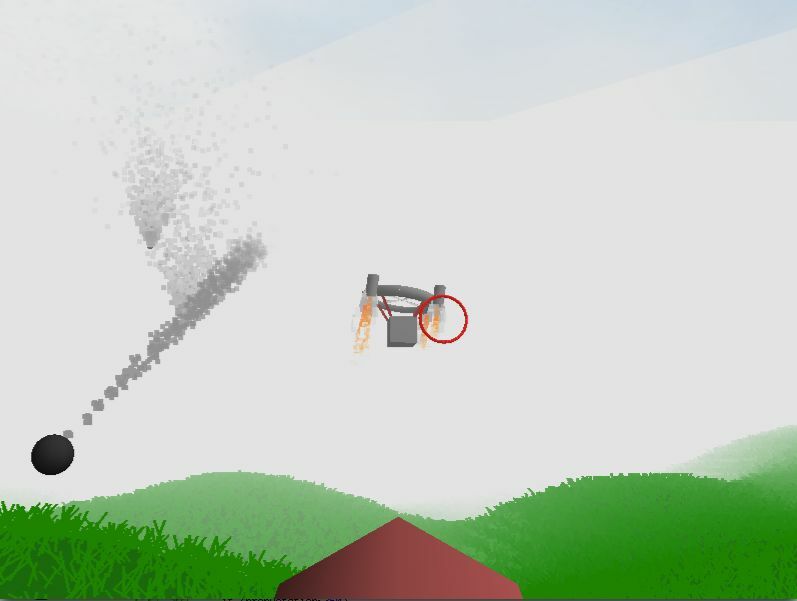 Players will hover in an helicopter-like vehicle above a virtual 3D terrain. The ship’s design is unique in that the fuselage is suspended from an array of maneuvering thrusters by “elastic” cables. 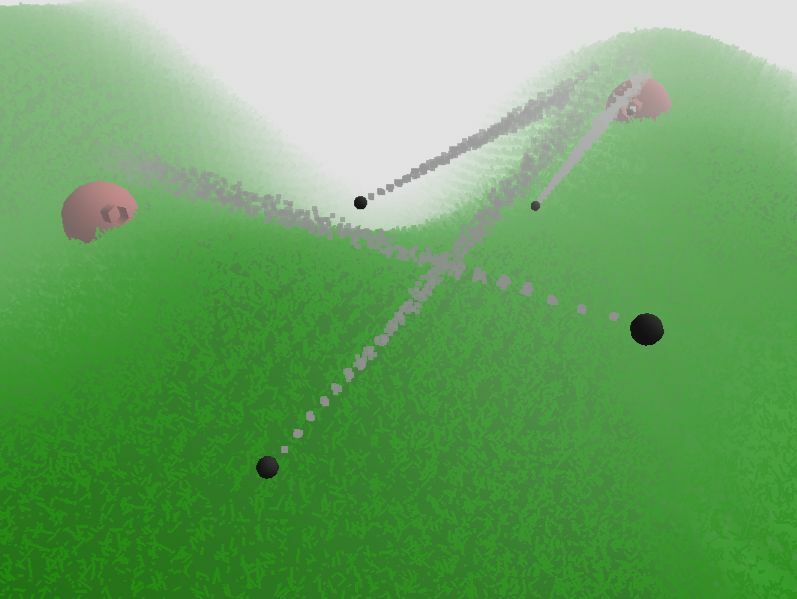 The “mountainous” terrain means the player will have to navigate around it skillfully, without crashing, as collisions will be detected. There are a number of hostile gun batteries that will fire if players get too close. 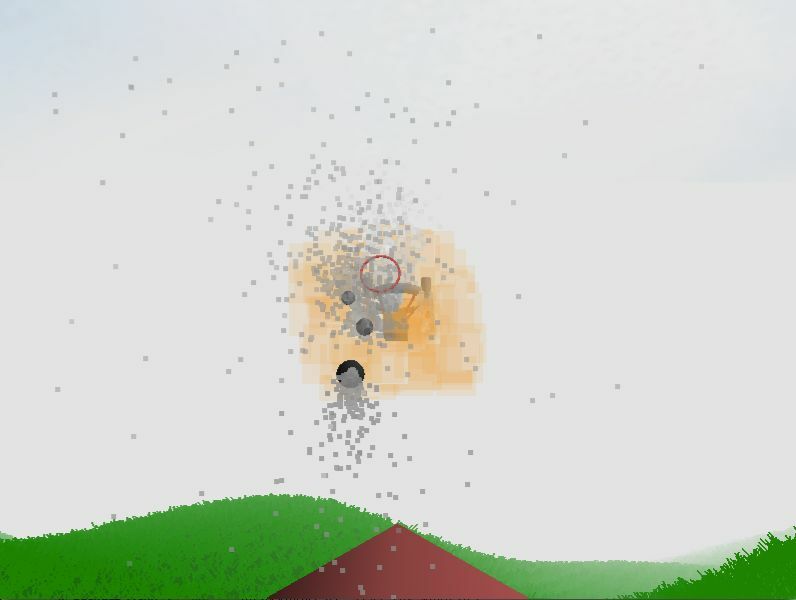 If hit, the player’s ship incurs damage, and will explode if too much damage is suffered. 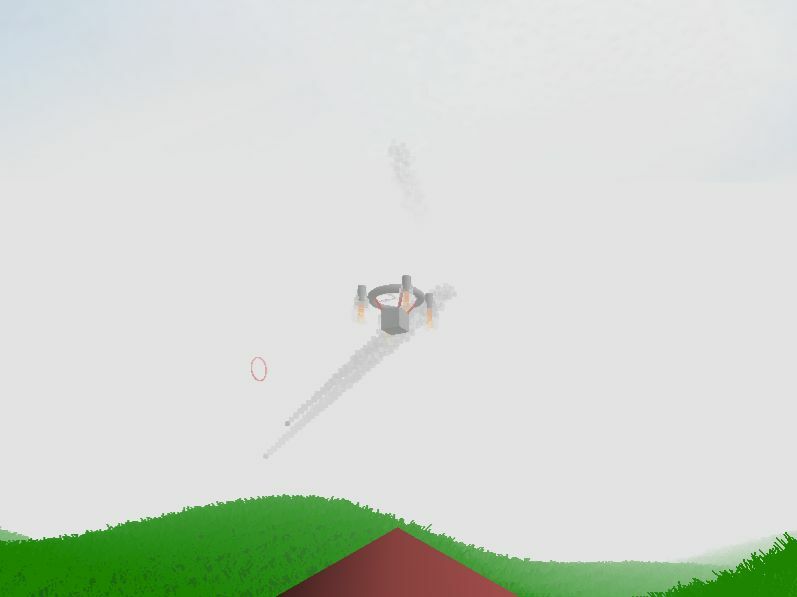 The player’s ship also has weapons, which it uses to eliminate all of the gun batteries on the map. Particles can change colors and alpha level over their lifetime. Main fuselage hangs by "springy" cables.